Following up on my previous post on Wicked Witches, today's post concentrates on some "not-so-wicked" witches in miniature. In literature, witches often are evil or menacing, a common theme in Grimm's Fairy Tales. Not exactly ideal bedtime fare, but plenty of inspiration if you like to create in miniature. For instance, while most cartoons show the witch in Hansel and Gretel as more menacing, can't you see this lovely lady more successfully using trickery and her delightful goodies to tempt her visitors? 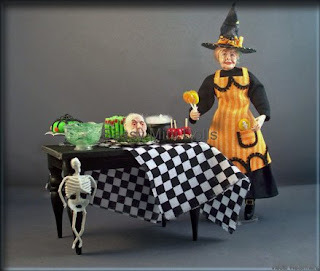 Dollmaker Marsha Mees of Sassy Mini Dolls was lucky enough to make her witch in a sculpting class with doll artisan Marcia Backstrom at a past Mini Doll Convention. Marsha has since gotten hooked on character dolls and has now started making miniature food, too, she says. A perfect combination! What's a haunted house without a witch? 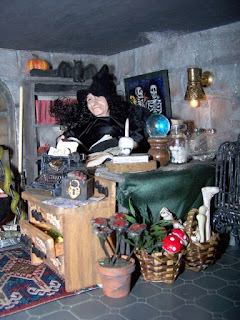 When I began making my own haunted house, I took the traditional route incorporating a witch in black working on her spells. (Witch by Detta's Darling Dolls.) While I usually like to make my own dolls, I couldn't resist the face and bought the doll. The fun was making a spooky-enough setting for her. 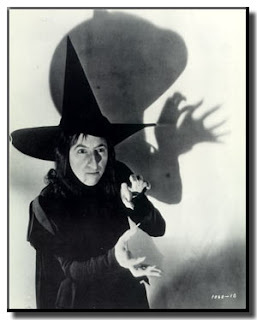 But not all witches are ugly or look like the Wicked Witch in the classic film, The Wizard of Oz. 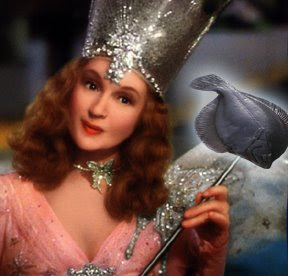 Some can be pretty, like Glinda the good witch in the film. This is one project where even Death will be welcomed to drop in. 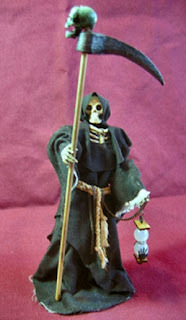 I plan to dress some of my own skeletons as customers, but in this case, Death, better known as the Grim Reaper, was dressed by North Carolina miniaturist Dale Fluty. Dale, who claims to be a "Halloween Freak," has been making miniatures for about 10 years and began creating miniature dolls about eight years ago. 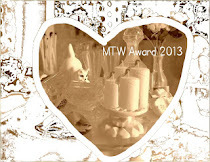 I enjoyed looking at the pictures and reading the stories behind the witches. The talent here is truly amazing! Whoa... talk about spooky! I come to leave a message, and found I've already left one ;) Greetings, Emma! Thanks, Chris for spreading the spirit of Halloween! I like them all. But especially the Grim Reaper. Boo! Come to a Halloween Party Tomorrow!